Snapshot data for the fall state submission in 2016-17 showed a growth of 299 students over the 2015-16 submission. Snapshot 2017-18 showed a growth of 112 students over 2016-17, and Waxahachie ISD is currently on track for a Snapshot submission to show growth of more than 400 students over 2017-18. The next closest growth was in the 2010-11 school year, when the district had an increase of 465 students over 2009-10. Elementary enrollment numbers hit, then exceeded, 4,000 for the first time in district history. 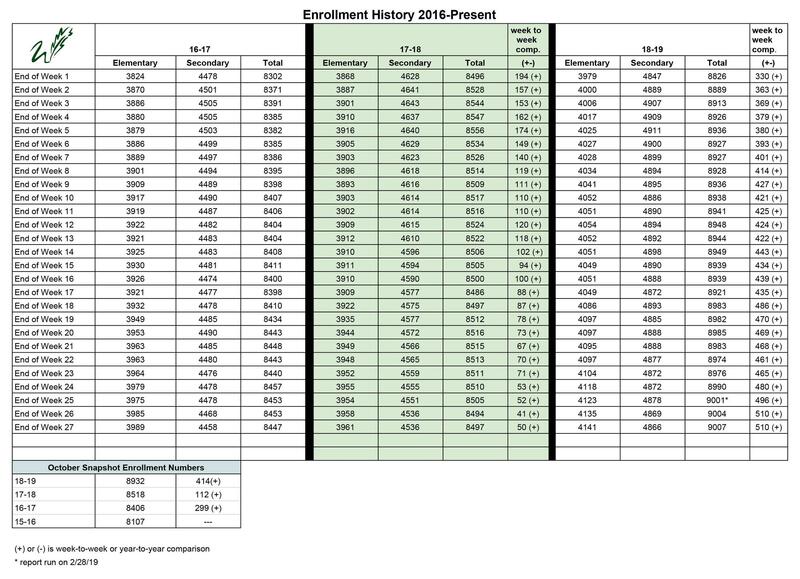 Secondary enrollment numbers reached 4,900 for the first time ever. The incoming 6th grade class is always larger than the exiting senior class. Many families who chose private school for elementary return at the junior high level for athletics and fine arts.